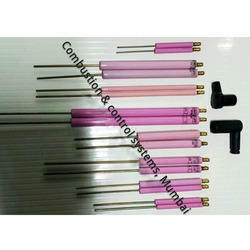 Pioneers in the industry, we offer cumituff ignition electrode e4/100-100, cumituff ignition electrodes, cumituff ignition electrode e2/125-100 and cumituff ignition electrode e2/100-100 from India. Combustion & control systems, One of the best source for genuine Cumituff Boiler ignition electrodes and ignition transformer, We keep stock of Cumituff ignition electrodes and spark plugs. All below dimension are in MM. 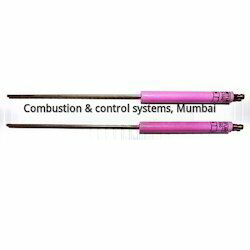 Combustion & control systems, Mumbai offers genuine products of Cumituff ignition electrode, Jyolox Ignition electrode, Ivalox Ignition Electrode, Imorted Ignition Electrode, Ecoflam Burner ignition electrode, Bentone Burner ignition electrode, Weishaupt burner ignition electrode, Oilon Burner Ignition Electrode, Baltur Burner Ignition Electrode, Riello Burner Ignition Electrode at affordable prices. 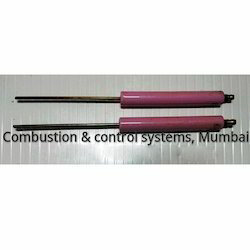 Combustion & control systems, Mumbai Suppliers of genuine Cumituff Ignition electrodes for Oil and Gas Burners and Boilers, We keep stock and supply all over world. 1. Cumituff Ignition Electrode E2/100-100. Looking for Cumituff Ignition Electrodes ?